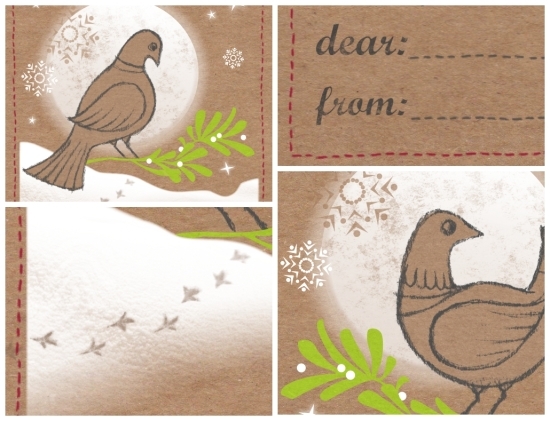 Snow Doves with stars and mistletoe. Snow Doves Gift Tags - details. Hello! 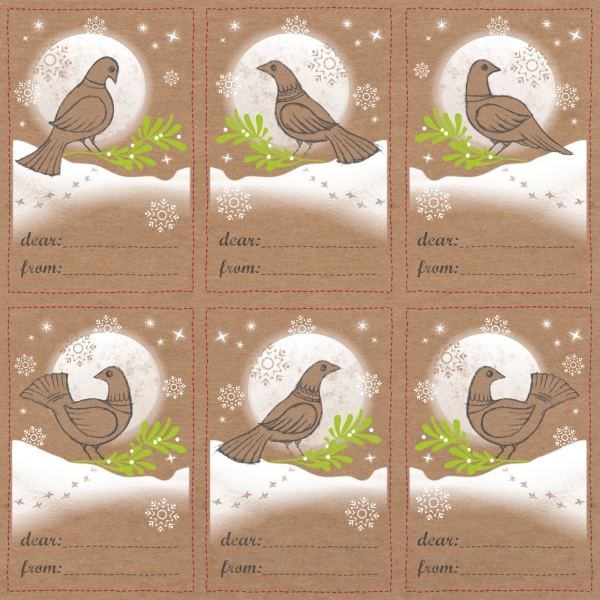 This is a new version of Snow Doves with brown paper, stars and mistletoe for Spoonflower's gift tags contest. To see some excellent gift tag designs and vote, click here! These are so classy and adorable! 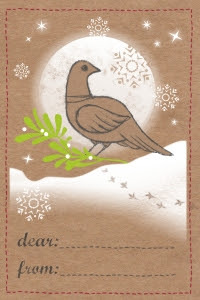 I really like the snow dove fabric design too... the limited use of color in both really makes the whole design. Love it!